Am I too old for social media? I am getting the sense that my “mature” demographic is not necessarily the one desired by brands, unless it is for medical equipment or pharmaceuticals. Maybe I am just having a bit of “post- birthday blues”. But, in all seriousness, lately, I have had more than one overt signal that I am too old to be a viable media specialist. I won’t lie – that stings a wee bit. But, here is the real grit to this blog… I have some secrets that perhaps some brands who have rejected me (and my fellow “mature friends”) may be surprised to discover! First, my friends have influence and affluence. They aren’t starting out millennials – they are people who have actually sweated day and night for every dollar in their bank account and stock in their portfolio. And, they have a heap of both! They bring with them a rich history of the decades which translates to creativity. They don’t need to invent what they “think is retro” – they only need to pull some photos from their drawers or record albums from their attics. They lived the generations now reflected in the Goldbergs or Mad Men. They are boomers and proud of it! My colleagues, family and friends are well- educated, have a thirst for continued learning, travel, sports and entertainment and a plethora of other interests. In other words – they like to earn and spend money to make their lives more interesting and enriched. My inner-circle are smart, clever, creative and have wisdom that could fill Wikipedia. Most of all, many of them have raised children to be decent, hard working and self-sufficient citizens. This avalanche of smarts and buying power should be attractive to companies – right? Ouch! I know that I am not a millennial. Thank goodness! I don’t have college debt, worries about healthcare nor building my future on hopes and dreams of becoming the next Youtube sensation. And, in all fairness – not every millennial is what I just described. In fact, my own kids and most of their friends are amazing humans who are working very hard to create their own paths and ensure for the security of their own futures. They are passionate and fabulous. They also have buying power – thanks to their parents putting them through expensive college educations that allowed them these opportunities. 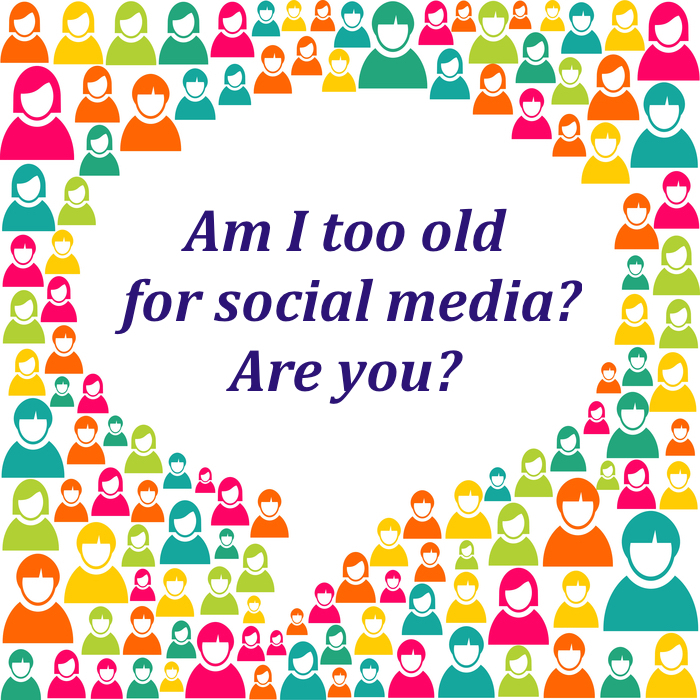 I would love to learn if I am too old for social media? I know I have skills and influence. There are plenty of metric companies that tell me so! But, the real question is why do I feel that there are missed opportunities for people like me – simply based on age?! And, doesn’t integrity and a desire to make a difference in this world count for something? I don’t associate with nor care about those who put their own interests before those of the greater good. In other words, I believe that #SocialGood should be the theme song that runs throughout the social media world vs. #WhatHaveYouDoneforMElately? Do baby-boomers, like me, have a place in social media campaigns? For those who wish (or dare I say have the courage) to engage with mature social media specialists, please connect with me via this blog or 411 voices, a consortium of people of many demographics dedicated to social good and helping brands.. Thanks! Professionals and others online should understand the impact of Social Media and that there are benefits to life experience. This weekend on a red carpet the “bloggers” we’re giddy when a celeb stopped to talk to them and the only questions they asked were for selfies and autographs on the on the step and repeat. I was glad to be a “Social Media Correspondent” and realized that it was not the time or place to FanGirl! Amanda, Thank you so much for your comment. I too consider myself a correspondent – there to TELL the behind the scenes vs. become part of the event. Looking forward to working future events with you as a reporter vs. a #FanGirl!